We are excited to share with you access to our online eBook and Audiobook Library Collection. Sora is a new app similar to OverDrive. We have thousands of books available for use. Sora also allows you to link books from your public library to your Sora book shelf for easy access. We are so excited to have a great new reading resource for our students. OverDrive is a free online eBook & audiobook library. Students can access hundreds of books in a variety of formats to download. 1. 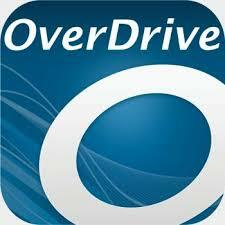 Click on the OverDrive button link located on the right of our library page. 2. Select our school (Dry Creek Elementary). 3. Input your student ID # (this can be located on Skyward or it is also the same as your student Lexia number). Battle of the Books is fast approaching for our 3rd-6th grade participants. Battles will begin the week of March 12th. More information on battle days and times will be sent out next week.